Delicious preparation to cook protein muffins. Protein Muffin by Scitec Nutrition is a food in powder with carbohydrates, proteins, and sweeteners. A delicious preparation to cook brownies with a high percentage of proteins. Perfect to eat at any time of the day or after the workouts. It supports a healthy and balanced diet. Protein Muffin is a delicious way of treating yourself, since it it a perfect substitute for conventional sweets. 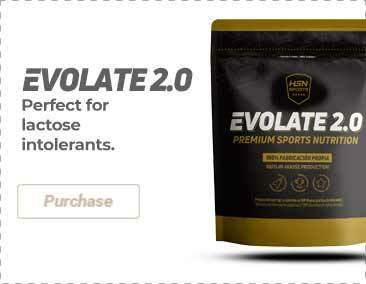 This product is a great alternative for protein shakes and bars thanks to its high protein content that helps with muscle growth and recovery. Moreover, combining the consumption of proteins along with an adequate diet and a constant exercise routine contributes to the maintenance and growth of the muscle mass. Protein Muffin is available in several flavors so that you can enjoy some delicious muffins. Preheat the oven and put the moulds on a muffin tray. Mix 120g of Protein Muffin with 100ml of water in a recipient with a spoon or blender until you get a homogeneous mass. Pour the blend on the moulds and bake for 15-20 minutes at medium heat (180-200ºC). Use a needle to see if the muffins are fully baked. Who can benefit from Protein Muffin? Oat flour (gluten), refined coconut oil, whey protein concentrate (milk, emulsifier (soy lecithin), flavor enhancer (xylitol), oat fiber (gluten), biophilized orange bits, reduced-fat cocoa powder (10-12%), < strong>egg white protein, gasifiers (disodium phosphate, sodium hydrogencarbonate), flavorings (chocolate praline, chocolate, orange juice), sodium chloride, acidity regulator (anhydrous citric acid), sweeteners (sucralose, acesulfame-K). It can contain traces of milk and its derivatives, eggs, gluten, soy, nuts, celery, fish, crustaceans and products made of crustaceans. Preheat the oven and put the moulds on a muffin tray. Mix 90g of Protein Muffin with 75ml of water in a recipient with a spoon or blender until you get a homogeneous mass. Pour the blend on the moulds (around 3 muffins) and bake for 15-20 minutes at medium heat (180-200ºC), depending on the oven. Use a needle to see if the muffins are fully baked. Let it cool and enjoy! Keep in a cool and dry place. The heat and the sun can damage the packaging. It contains polyols, an excessive consumption can trigger laxative effects.